Is Homeopathy A Sham? : 13.7: Cosmos And Culture Homeopathic treatments are too dilute to be effective. Why, then, are they so popular? This is the first in a series of reflections on this question. 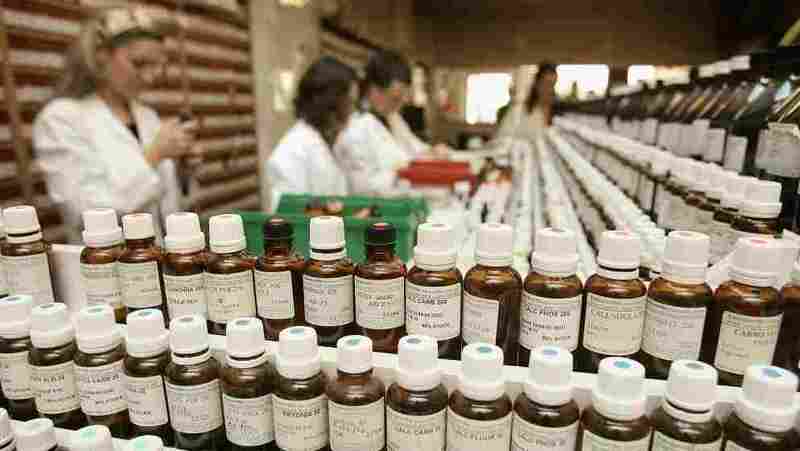 In 2005, the British medical journal The Lancet attacked the use of homeopathic treatments saying that doctors should be honest about homeopathy's lack of benefit. The difference between effects and side-effects is not a difference in the effect, but in our interests and aims. Throw a stone in a pond. What are the effects and what the side effects? The stone hits the water. This makes a noise; there is a splash; there are ripples; the bird is startled and takes flight, and on and on. Maybe my purpose in throwing the stone is to make it skip; this is the effect at which I aim; relative to this aim, all the rest are just side-effects. A study just published in Lancet finds that aspirin at low doses may reduce cancer. This, it turns out, may be one of aspirin's effects. From the standpoint of its use as a pain-killer, or as a fever-reducer, or in the treatment of vascular disease, the anti-cancer properties of aspirin are a side-effect. Little is known for certain about what the mechanisms of this effectiveness might be. Causal relationships are vast, complicated nets. Everything is connected to everything else. What we call "cause" and what we call "effect" tell us a great deal about what we are interested in and what we care about. What we consider relevant to an explanation of why the house burned depends on what we know and take for granted and what we are trying to figure out. For the Martian, the remarkable thing was the presence of oxygen. To us it was the actions of the arsonist. To a divine intelligence, maybe the decisive factor would have been the fact that the Big Bang occurred billions of years earlier! But this interest-relativity does not mean the causal net is unreal! And this brings us back to homeopathy. You can keep up with more of what Alva Noë is thinking on Facebook and Twitter.